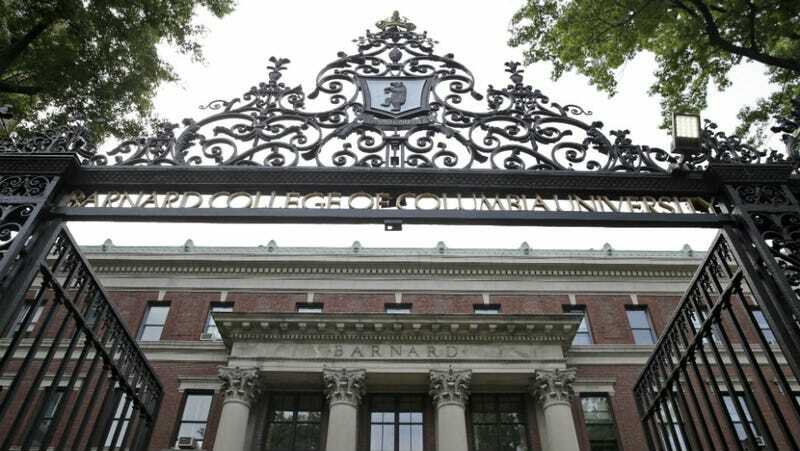 The contingent faculty at Barnard College have voted overwhelmingly to unionize. Barnard is a women’s college, and women also make up more than 60 percent of the faculty. So, a pretty good choice, then, considering that union women earn, on average, 13 percent more than their non-union counterparts. The results are pretty staggering, according to a press release from 2110: 114 faculty members, or 91 percent of them, voted to join the union. Just eleven people voted no. The first order of business, from the sounds of things, will be a pay increase: Linn Cary Mehta, a professor in the English department, is quoted as saying her pay has only increased by 12.5 percent in the last 15 years, while Barnard’s tuition has more than doubled. “We look forward to having a stronger voice in addressing our ability to provide the best education possible for Barnard students,” Mehta is quoted as saying. Unions have a variety of benefits for women; besides better pay, union women are much more likely to have healthcare and a pension plan. Maida Rosenstein, UAW Local 2110’s president, says that the union previously helped Barnard workers win equal pay provisions in their contract as well as a generous childcare subsidy.